The story of Martha and Mary is one familiar to all of us. 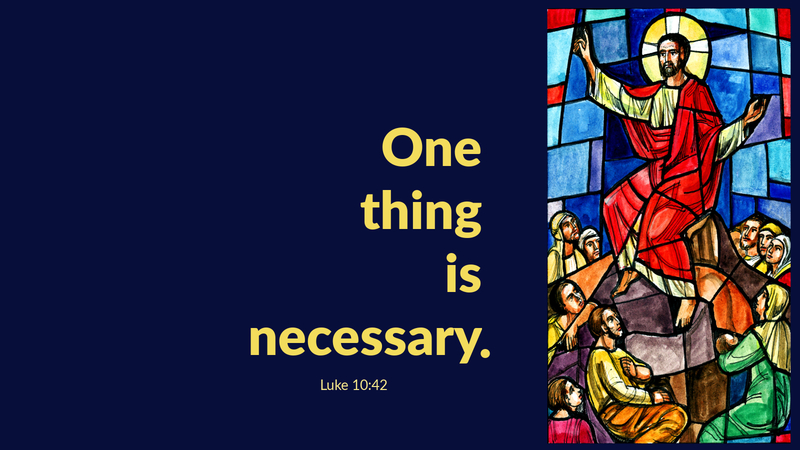 From Mary’s perspective, what is important is learning from Jesus. For Martha, she sees her chores as just as important. The problem is that both are correct. Martha is not wrong to see importance in her tasks; her problem is one of priority. She allows the distractions of this world to supplant her need to learn discipleship. We all have goals. We have jobs. We have distractions; but are they keeping us from learning to be disciples? Are we so busy doing that we fail to dedicate time to learn, honor, and worship God? Prayer: Heavenly Father, teach me to be your disciple and always place you first in my life. Amen.